Artillery 12: L-118 105mm (Towed) ? Anti armour LRAC 89 mm ? 3: 32 metre coastal patrol boats (Alibori, Oueme and Zou) delivered by Ocea in 2012. Note: Data for years 2007, 2009, 2010 are not known. Benin has a small military geared for internal operations. The Air Force is positioned to fulfil transport and communications functions and support ground forces. It has a limited surveillance capability, but this has been bolstered by the arrival of new aircraft. Benin’s biggest security threat is piracy in the Gulf of Guinea, something which affects its economic wellbeing (there were 45 incidences of hijacking and robbery at sea in the Gulf of Guinea in 2011). Although its coastline is only 120 km long, until recently the country had barely enough resources to adequately patrol this area and monitor its exclusive economic zone. However, recent purchases have considerably strengthened Benin’s military, especially the navy. New patrol boats from Ocea and aircraft from LH Aviation are being used to patrol the country’s coastline. Benin has little in the way of procurement programmes, receiving most of its new equipment from donors or at special prices from partnerships. Benin receives aid and training support from countries like the United States, Belgium and France while China has provided a four million euro grant for the purchase of a patrol boat. The Army has little heavy equipment as it is focused on becoming a flexible infantry force for peacekeeping, border security and other such missions. Benin contributes a substantial number of troops to peacekeeping operations and taking part in United Nations peace support operations makes a positive contribution to the government as the country is compensated for such activity. External •	Benin is facing no external military threat. •	Maritime piracy within the Gulf of Guinea has been drastically increasing. Internal •	Crime is Benin’s biggest internal security threat. Regional	 •	Islamic militancy in the West African region could affect Benin’s foreign security policy design. 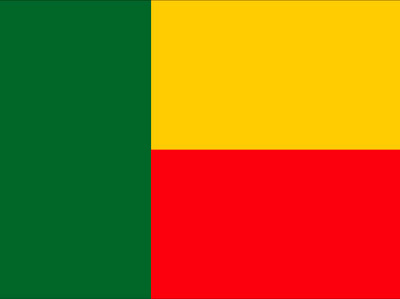 Political •	Benin is considered to be political stable. Note: The order of battle figures for Benin may not be representative due to the varying serviceability of much of its equipment. ISS: Can Benin protect itself from terrorism in the region?